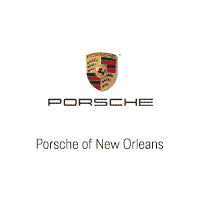 You love driving your Porsche 911 all over Kenner, LA. And who can blame you? With such an amazing car, you probably want to drive quite a bit. But with all that driving comes high gas prices, especially during the summer months. If that’s something you want to avoid, you need to learn about the best fuel efficiency tips to employ when it’s hot out. By following these tips, you can lower your monthly gas bill and spend less time at the pump. Isn’t that what everyone wants? Check out how you can reduce your gas usage and help the environment below. It may seem like hitting the gas is the only thing that affects your fuel efficiency as you drive around Kenner, LA, but that’s just not the case. In fact, hitting your brakes too much can actually have more of an effect. That’s because when you use your brakes, it just means you’ll have to use more gas shortly after that. That’s why you should try to limit your use of your brakes as much as possible. Just brake when necessary, and you will notice a drastic reduction in the amount of gas you use daily. Are you guilty of being an aggressive driver? It can be easy to be, especially when you’re busy and in a rush and traffic is going nowhere. However, when you drive aggressively, you’re using more gas than you probably want to. That’s because you have to keep hitting the gas and the brakes instead of using the momentum you build up. Take a deep breath, try to control your road rage, and drive your Porsche 911 a little less aggressively. Your wallet will thank you. This tip seems obvious, but it’s one way that will definitely cut down on how much gas you use: Simply don’t drive as much. You can get around Kenner, LA, by walking or biking, and you won’t have to use any gas at all. You spend less, help the environment, and even get a bit of a workout in the meantime. Do you still need a vehicle to get around Kenner, LA? To see our selection of amazing cars, come to Ray Brandt Porsche today. We’ll be more than happy to help you find something you love.